The local library has Holbeach census returns. The library has a book recording the monumental inscriptions within the Church (complete with a bit of genealogical/historical information) and also the Churchyard. There are also monumental inscriptions for Holbeach Cemetary. "A Neat Little Town", a History of Holbeach, ISBN 0-9548731-0-6, 212 pages, published and written by Jeremy SATHERLY, 2004. The Cemetery, on Penny Hill Road, was opened in 1853 and enlarged in 1912. It covered just over 7 acres in 1900. 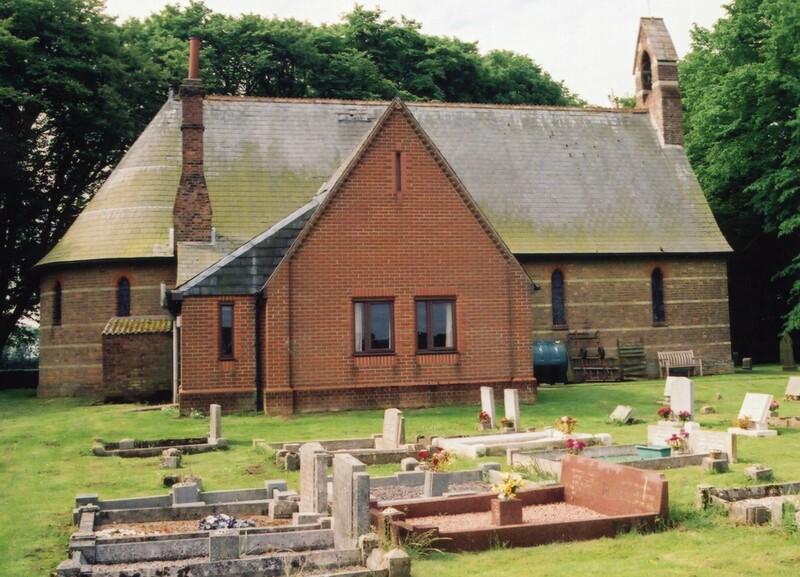 The Cemetery Chapel is a Grade II listed structure with English Heritage. Holbeach was part of the Holbeach sub-district of the Holbeach Registration District. With the re-organization of the Poor Law Union in 1891, the southern part of the parish became part of the Gedney Hill subdistrict of the Holbeach Registration District. You can also perform a more selective search for churches in the Holbeach area or see them printed on a map. The church was constructed in the early part of the 14th century. The church underwent an extensive repair in 1879 through 1882. The church seats over 640. Holbeach Hurn is an ecclesiastical parish, formed in April, 1870, which is 3 miles northeast of the town of Holbeach. The Anglican church, erected in 1869 of red brick, is dedicated to Saint Luke. St. Luke's Church can seat 180. There is a photograph of Saint Luke's Church on the Wendy PARKINSON Church Photos web site. Holbeach Marsh is an ecclesiastical parish, formed in April, 1869, which is 8 miles north-east of the town of Holbeach and the northernmost part of the civil parish. The Anglican church, erected in 1869, is dedicated to Saint Mark. It is built of red brick. St. Mark's Church can seat about 188. The church was declared redundant by the Diocese of Lincoln in February, 2002. 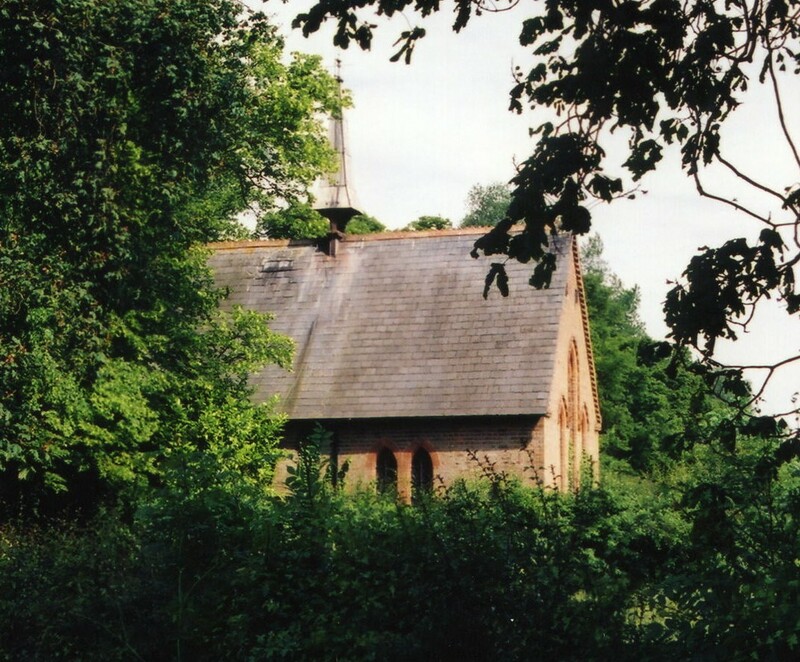 There is a photograph of Saint Mark's Church on the Wendy PARKINSON Church Photos web site. 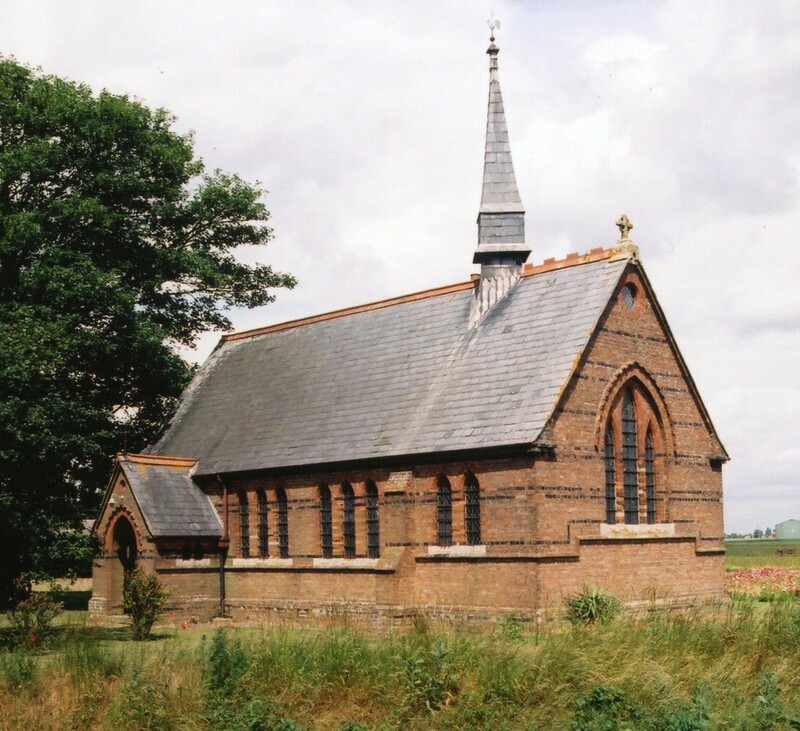 Holbeach Marsh also had a Chapel of Ease, St. Matthew's, about 8 miles north-east of Holdbeach village. The chapel was erected in 1869 of red brick. Divine services were held on Sunday afternoons by the vicar of St. Mark's. St. Matthew's Church can seat about 110. There is a photograph of Saint Matthew's Church on the Wendy PARKINSON Church Photos web site. 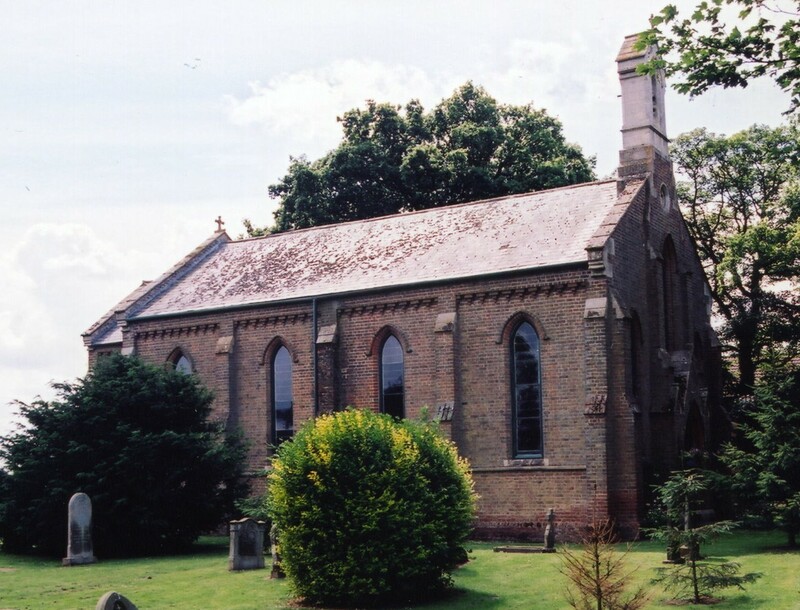 Holbeach Drove was in the ecclesiastical parish of St. John's (below). A small mission church was built here. Holbeach Fen was graced in 1840 with the construction of St. John's Anglican church. St. John's Church can seat about 200. The Anglican parish registers exist from 1561 (later years for some of the hamlet chapels). The Anglican parish register for All Saints dates from 1560. The Anglican parish register for St. Luke's dates from 1870, the year it was consecrated. The Anglican parish register for St. Mark's dates from April, 1869, when it was consecrated. The Anglican parish register for St. John's dates from 1867. The LFHS has created a number of indexes for the East Elloe Deanery to make your search easier. 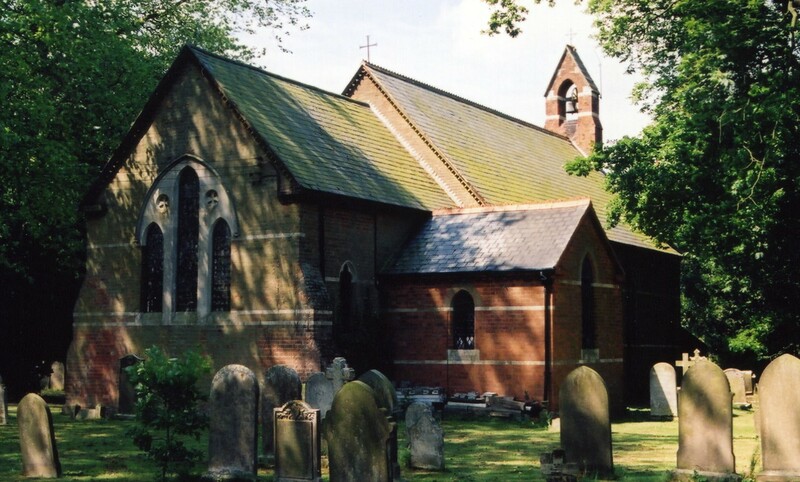 Beryl Thompson has scanned a transcription of the "Holbeach Parish Register of Baptisms, Marriages, and Burials," by Rev. Grant W. Macdonald, M.A., published by James Williamson, Printer, Lincoln, in 1892. There are a handful of parish register entries on the Parish Register text file. The Congregationalists built a chapel here in 1870, as did the Baptists in 1879. There were also chapels for the Wesleyan Methodists, Primitive Methodists and United Methodists by 1900. For information and assistance in researching these chapels, see our non-conformist religions page. Holbeach is both a village and parish 105 miles north of London, and 17 miles south of Boston. The River Welland and The Wash form the northern border of the parish and the Whaplode River part of the western boundary. 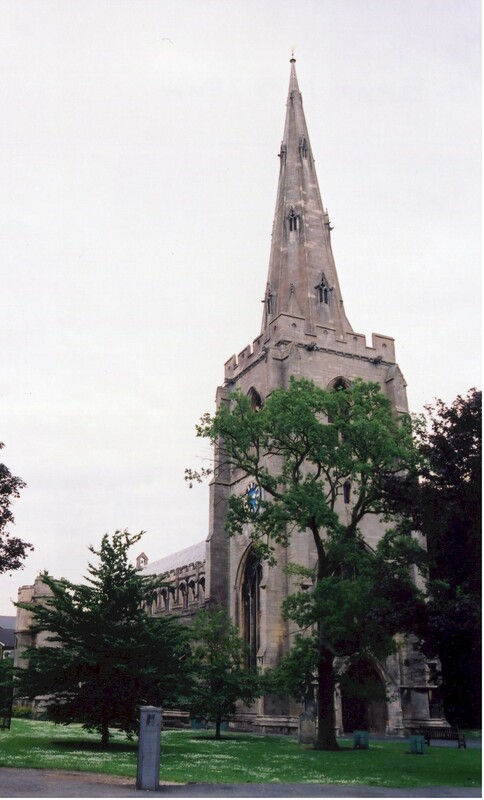 The parish is large in area, over twenty miles long, with a long, narrow tail running south to the border of Cambridgeshire, covering 21,595 acres and incorporates the hamlets of Holbeach Drove, Holbeach St. John's, Holbeach St. Matthew, Holbeach St. Marks, Holbeach Hurn, Holbeach Clough, Penny Hill and a part of Saracens Head. Whaplode parish is neighbor to the west and Fleet parish to the east. The area is very marshy, drained by many small canals and the South Holland Main Drain. Check out the This is Holbeach site for places to stay, food and drink, history, etc.. In Holbeach, on the road to Spalding, is a millstone marking the Prime Meridian. By automobile, take the A151 trunk road east out of Spalding towards King's Lynn for about 8 miles. It passes just north of the town centre. Ask for a calculation of the distance from Holbeach to another place. You can see the administrative areas in which Holbeach has been placed at times in the past. Select one to see a link to a map of that particular area. Holbeach received its license from the Crown for a market and fair in 1252. All Saints Hospital was founded here in 1351. The hospital was taken down around 1700. In the 17th, 18th and 19th century, the land was prime pastureland for sheep and cattle. Gas works were erected here in 1834 by George MALAM. In 1836 an embankment gave way during high tide, flooding a large area of the parish. In 1839 about 600 acres were added to the parish by extending the embankments into The Wash. The RAF opened a bombing and gunnery range here in 1928. It was 8 miles north-north-east of the village and about the same distance from Boston and King's Lynn. There was a landing ground here for a while, but it was seldom used. The range is still an active RAF station. There is a photograph of a three-bay pillbox at the north end of the parish on the WW II Museums web site. Red-Eye has a photograph of the War Memorial Cross on the Ipernity website. There are eleven Commonwealth War Graves in Holbeach Cemetery. Ernest Ward CAWDRON, corporal, Military Police Corps, age 29, died 9 April 1918. Timothy CROSS, priv., 3rd Btn. Linc. Regt., age 29, died 26 Nov. 1915. Husband of Mary Jane CROSS of Saracen's Head. Robert DISS, priv., 9th Btn. Linc. Regt., age 30, died 10 July 1915. James HOWARD, pioneer, Royal Engineers, age 33, died 4 April 1917. Husband of Mary Ann HOWARD. John Alfred Carter HOWARD, stoker 2nd, Royal Navy, age 19, died 6 May 1916. Son of Mrs H. HOWARD of Church Street, Holbeach. Albert KISBY, driver, 3rd Reserve Horse Transport Depot., age 19, died 30 April 1918. Son of Mr. W. and Mrs. G. KISBY, of Spring Bank West, Hull. Harold SOUTH, corporal, 11th btn. Rifle Brigade, age 25, died 2 Dec. 1918. Husband of Ethel Maud CALEY. Walter Henry COOK, trooper, 1st DBY Yeomanry, Royal Armourd Corps, age 28, died 2 July 1942. Son of Walter Herbert and Ida Evelen COOK. Eric William ELGER, lieut., Royal Norfolk Regt, died 8 May 1947..
Maurice William (Peter) ENGLISH, lieut., Royal Naval Vol. Rsrv, age 28, died 2 June 1943. Husband of Catherine Margaret ENGLISH of colchester, Essex. Frank ROBINSON, navigator, 622 sqdrn. RAF Vol. Rsrv., age 21, died 20 Sept. 1944. Son of G. W. ROBINSON and Alice ROBINSON. The ancient name of the parish is sometimes given as oldbeche or "Old Beach", but modern scholars site a different origin. The name Holbeach is from the Old English hol+bece, or "Hollow stream". In the 1086 Domesday book, the village name is given as Holebech. John Bland tells us (2004) that the locals pronounce the name as "Ol beech". The village qualifies as a "town" due to the Royal Charter granting Market Fair rights in 1525. All Saints Hospital was founded in 1351 by John de KIRTON to tend to the poor. It was taken down in 1700 and the Chequers Inn occupied the site. Several charities and annuities existed to assist the poor. A workhouse was built sometime in the 18th century on three acres called Workhouse Land, but all paupers were moved to the new union (below) in 1836. After the Poor Law Amendment Act reforms of 1834, Holbeach became the center of the Holbeach Poor Law Union. John R. BLAND provides a transcript of the will of Mary BEAGLES of Holbeach. John R. BLAND provides a transcript of the will of Samuel BEAGLES of Holbeach. John R. BLAND also provides a transcript of the will of The Rev. Robert HOOD of Holbeach. Holbeach Free School (also "Holbeach Grammar School") was founded in 1669 by George FARMER. The school was originally located in the chancel of All Saint's Church. The school was closed in 1811, then in 1814 it moved to a new building and reopened. St. Mark's National School was erected in 1870. St. Matthew's National School was erected in 1885.